What is a 'good score' in the AMCAT Test? Home AMCAT Concept What is a ‘good score’ in the AMCAT Test? What is a ‘good score’ in the AMCAT Test? In our ‘Cracking The AMCAT test‘ series, we now explore what's a good AMCAT score – How you can compare yourself against it and what you can do about it! So, you have given the AMCAT Test. And are waiting for the calls to come – with your results in hand. And wondering if they are good enough! Asking around. Thinking whether the test itself is flawed, or even a fraud. Well – You are not the only one. 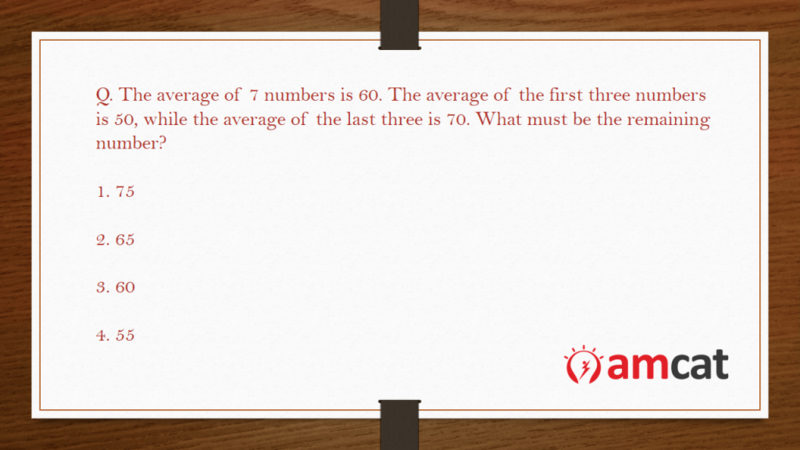 The AMCAT test is taken by more than a hundred candidates on a daily basis. Candidates who take with varying levels of preparation in the ELQ segment, focusing largely on their chosen segment. There are those who sail through impeccably and then apply for the exclusive jobs on our platform. And then there are those who are surprised when they receive their results and the overall AMCAT Feedback report. In our series on ‘Cracking The AMCAT test‘, we now explore what is actually considered a good AMCAT score – How you can compare yourself against it and what you can do about it! The AMCAT Test, a skill assessment / aptitude test is an overall evaluation on four skill parameters – English (verbal and communication skills), Logical Reasoning, Quantative Reasoning and domain knowledge. While the first three modules are common across all student tests, the fourth varies as per your field of study (Engineering, Financial, Management and general purpose) and your discipline in them. The evaluation, an adaptive test, ranks your performance in all four based on how you’re performing through it – quicker, correct responses lead to tougher and tougher questions, while incorrect answers lead to easier ones. Your AMCAT score varies accordingly too. 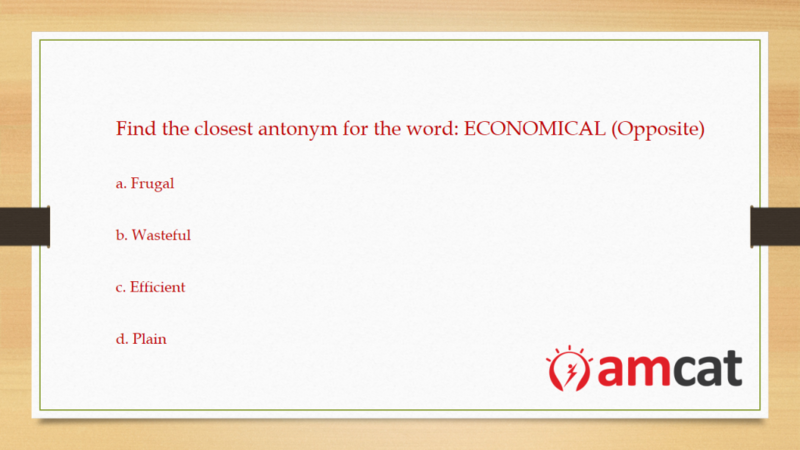 An example of a question from the English vocabulary section. Why is this needed? English is largely the communication language in all large companies, especially MNCs. A good command over it, showcases your potential communication skills – a low score here often portrays the candidate in a negative light. An example of a deductive reasoning question in the AMCAT logical reasoning section. Why do you need a high score here? It is a score of mental ability, rationale, problem solving skills and maintaining a level head during day-to-day tasks. An example of basic mathematics solution in the quantitative ability module. Why do you need a good score here? This is a hold of your mathematical abilities in core technical and non-technical aspects. Depending on the individual recruiter’s requirements, a cut-off is applied here on which candidates will make the cut and which won’t. What is a good overall AMCAT score? Normally, an overall AMCAT ELQ score above 1500 is considered a good score, clearing most company requirements. The fourth module, domain, is often decided by the recruiter and may vary case by case. The second thing you should know is this – how are cut-offs defined by companies. Generally, companies work with the individual cut-offs given above. There are a few situations where two cut-offs can be combined. This happens with Logical and Quantitative modules, where the cutoffs and scores are added up. Give your scores an honest evaluation – do you think that they would make the individual cutoffs easily or that you can improve on them? If the first case holds true, then keep a handle on them for the year period and consider renewing them once your year gets over. Otherwise, consider taking a retest, as soon as your cool-off period gets over. Have we been able to give you a clue over the AMCAT score yet? Please share your thoughts and questions in the comments section below. How long has it been since you took the test? Pls share with your AMCAT ID. My score is 630 in English, 650 in Quantitative, 495 in Logical, 585 in Computer Programming, 592 in Computer Science .. still on dragging the mouse cursor to “apply to this job” it says this score might not be good to get interview calls. Are core company recruitment drive conducted through amcat? If yes then which are those companies especially for mechanical engineering students. Our AMCAT support team will connect with you soon. The scores given here are minimum cutoffs. Remember, that the max score is 900 per module. Further, MNCs like Accenture have more stringent conditions when it comes to recruiting. And each year, the median scores for performing students changes, with more and more candidates joining the pool. To explain these better, our AMCAT team will connect with you soon. Its been a month when i gave my amcat test and i have not recived any call from your end…. This is quite disappointing.. this is something can not be digested that AMCAT being an esteemed organiation is doing nothing and simply increasing the number of complaints on their site. Have you had a chance to go through your feedback report and scores? Pls consider these and ascertain whether you rank high in percentile or if your scores require improvement. We have observed (from our end and candidate testimonials) that it can take nearly 40-50 days for students to receive interview calls. The interview calls depend on A) Your scores (the higher they are in percentile, the more likelihood of your profile making it to a recruiter’s top list) and B) Individual Job requirements. We would ask you to patiently wait for some time. However, if you have any doubts over your percentiles, pls share your AMCAT ID and our support team will get in touch with you. Hi, Do IT companies prefer Quans, Logical and English CutOffs alone while recruiting or they use Optional Modules too….. Please share your AMCAT ID. Please go through our AMCAT syllabus for electronics and communication engineering. My amcat scores are english-490,quant-560,logical ability -540, computer programming -465, computer science- 405 are these scores enough to get call from MNC’s ?? I had written amcat test on 5th Oct . It has been 20 days I didn’t received any mail from amcat and no results are given. Plz tell me how to see the results . Getting calls for non tech profiles .Can anyone suggest this is because of less marks in AMCAT ???? It could be – Go through your AMCAT scores individually and consider whether you wish to take another, to improve your scores. Hello i am giving the AMCAT and its my 1st attempt so i need some tips and suggestions regarding the exam. Will I get call from companies or I have to retake the test as my score is not good in english(on national percentile). Your scores are decent, however, you can work towards an improved score in English and computer science. In the meantime, start applying on the jobs board. For your second query – the timeout time is 45 days, not three months. The gap is to enable better study preparation and to try your first set of scores. Ok Vidhi thanks for replying. Actually in scores and feedback they have written that ratake the test after 3 months that’s why I got confused. Why it takes 40-50 days to receive interview calls I mean if someone score is really good then he should get calls with in some days when he applies for the jobs. What are my chances of getting calls?? Or should I retake. Your scores are good enough to receive calls. However, would request you to be a little patient – as it often takes 2-3 weeks for your scores to get matched to recruiters. You may begin applying to relevant jobs on the AMCAT jobs board. Hi. I’ve scored good in Verbal(88.5), quantitative(86.1), logical(94.9) and computer programming(96.1). But less in concert science with 346 marks and 39.3%. Am I qualified in exam? Do I get or do I have chance to get interview calls? Is there anything like sectional cutoff in AMCAT exam which decides I’m failed just because my score is not good in one section also? It will affect your chances, especially in jobs specifically looking for a Science profile. However, you can possibly try your hand at other jobs, which require someone high on verbal, quants, logical and programming. Hi I am observing since 1 month that amcat is not a good platform for fresher as 80% jobs posted here are for the experience people.I am not even getting chances to apply for the jobs beacuse I am a fresher. You should consider taking the test again and working on your English skills. Almost all jobs look for candidates who have good communication skills. And English is the mode of communication in most businesses. While your ELQ scores are good, you also need to consider your subject scores. If your percentile scores are amid the top 20 (80% and above) then renew your subscription. Otherwise, retake the test. My amcat score is english-580(85.3),aptitude-565(71.5),logical-570(85.1) ,Computer Programming 545(89.4) will it work? why all they are not getting any interview call ? I am going to give the amcat test. plz anyone help me… will it help me for getting me job or i will get the same result even after scoring well ? bcoz i have less percentage. plz anyone let me know about this. All the best for your upcoming AMCAT Test. Getting interview calls is dependant on the kind of scores you get, as the AMCAT is a bridge to opportunities. The hardwork to clear it, needs to come from your end. As to doubts over the efficacy of the AMCAT Test, we request you to go through the >AMCAT Success Stories: Reviews and Testimonials. Our support team will connect with you soon. You may get an option between the two, when you schedule your test. Would request you to try booking the test online and check for your options. Did any one really got benifited with this exam or not. ?..There’s no positive comments here…I was thinking to write..But seeing these comments I’m confused right now….what to do? We understand that the comments here are a mixed bag – we choose to retain all comments on our platform. We do suggest going through the AMCAT success stories, which are testimonials by those users who have already landed confirmed job offers using the test. The underlying factor is that your success with the AMCAT is dependant on your level of preparation for the test and the upcoming job interviews. am i eligible for IT Companies, recently appeared for amcat exam? It depends on the kind of score you received. What are chances of getting a call for the interviews ??? A re-test would be advisable, with the focus on English and Logical. hii.. i am interested to write amcat. so,guys please help me….after getting gud score in amcat…do people getting calls from companies or not?? Hi…my academic percentage is second class….. If I get a good score in amcat test….can I get a calls from MNCs companies. AMCAT scores are now available within 24 hours. Please connect with the support team if you have not been able to access yours. Hi, I scored 100percentile in ELECTRONICS Section.89percentile in quant Section .please check. my AMCAT ID IS 130010889793459. Will I get call from companies or I have to retake the test. It would be better if you re-take the test, focusing on your problem areas. What problem do you seem to be facing, Rahul? Hi .im a Bsc(Maths ,Statistics,Computer science) student 2017 passed out .does companies prefer freshers like me after giving amcat test. Will I get call from company or I have to retake the test. You need to improve your scores in QA and English. Retaking the test would be appropriate. 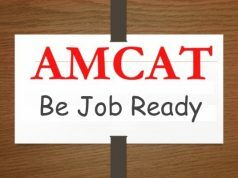 There are jobs available for freshers with the AMCAT. Try preparing and taking the test to find suitable opportunities for yourself. It would be prudent to improve on these scores. I had already applied for cognizant technology solutions recruitment drive using previous AMCAT Scores. Can I apply for same cognizant technology solutions recruitment drive using current AMCAT Scores? P.S: Compared to previous AMCAT Scores, current AMCAT Scores are improved. Sure. In fact, it’d be a better idea to apply for the recruitment drive with your new and improved score. All the best! Is this score is good? shall I expect any call? How many days I should Wait? My amcat score is 1764…. It appears that you have a strong hold on Quant and Computer programming. So, you can certainly expect a call from companies looking to hire candidates with these skills. However, you’d have to be a little patient about it. All the best! Your score seems fine. You can expect calls from companies if your score matches their requirements. However, if you feel you can do better than this, then do go for the second attempt. After all, better the score, more are the chances of getting an interview call. Hey guys …is there any negative marking in amcat ? I have only amcat oder no. I don’ know wts my amcat I’d. Can anyone plzz tell me that when I’ll get the amcat I’d..
No! There are no negative markings in amcat exam. When did you give the exam? It usually takes a day for the results to show on your amcat account. You can use your amcat ID to log into your account and see your score. Our support team will get in touch with you anyway shortly. Its around more than a month and I did nt get any call? I am 2018 pass out. Will I get call from company like accenture,cts ? These are some really impressive scores, so don’t you worry about getting calls. You certainly will, but would need to be a little patient with that. I am sure there has been some communication gap here. Our support team will get in touch with you shortly. At times, it does take a while before you start getting calls. So, don’t lose hope so early, and would recommend you to be a little bit patient. With such great scores, you’ll definitely be getting calls soon. So, you now know that it may take a while before companies start paying heed to your scores and give you a call. If you are getting calls for your previous score, which was lesser, than rest assured that you’d get several calls for your new score. Just have to be a little patient about it. I’m a new to amcat, In domain section if it possible to apply computer programming(CP) only or I should apply both CP and ECE. Will I get the call from the IT Company???????? your scores reflect stronghold on computer programming and software skills. So, yes, you can expect calls from companies looking for programmers or freshers from CSE. Your overall score looks great. However, if you are interested in getting calls from IT companies, I’d recommend you retake the exam and choose your subjects accordingly, and try and score well in those subjects at least. You can prepare your test with the help of PrepAMCAT before appearing for the main exam. Hope this helps. Can anyone please help me out with my amcat scores? Are these decent enough? Its been 2 months I havent gotten any calls! How long does it take? Your scores look good enough. I understand it can be daunting to keep waiting, but would recommend you to stick with it. It may take a while, but candidates with such scores do get interview calls. And once it starts, you may even get 2-3 calls a week. will i get a job calls from companies? Firstly, great score and congratulations on getting through your amcat. I believe you are CSE student and looking for jobs in the same profile? Looking at your scores, I am pretty positive that you will get interview calls from several companies. It, however, may take a while depending upon the company’s requirement and hiring schedule. But nothing to worry on the front of getting calls. Your scores for the compulsory subjects are at par, however, for the subject-specific scores, you’re just across the par score. So, while, you can definitely expect calls from companies, it may totally depend upon the cut-off set by individual firms. You could choose to stick to your score and wait for a while to get calls, or can choose to re-appear for the same to improve on your subject-specific score. You can do the same, after waiting for a while as well. Your situation is similar to what Sakeena’s is. You can refer to my response to her and follow the same. If you are looking for interview calls from companies for the profile of programmer, etc. I would recommend you re-appear for the exam as your scores in subject-specific module are a bit lower than recommended. You can refer to our blogs on how to prepare well for amcat exam and make your second attempt count. Hello Amcat team,I have recently passed out from computer engineering in 2018 but i am not interested in programming and i would prefer techno-functional jobs[non technical with good package is fine too],thinking of giving amcat but i, not sure about which modules to select for the test(in subject domain i will choose computer science which module should i select as second module and can i speak with someone regarding this ? My Amcat id-130011589585652..How do I check my result? Will the computer science marks be an hindrance for my selection in IT companies? Will I be able to apply for IT sector jobs with the marks mentioned above in amcat? Frankly, it may or may not as well, since your score in other subjects are tremendous. Would suggest you to wait for a while and see if you are getting calls with these scores. You got to be a little patient with it though. These are some really fantastic scores. You can certainly expect calls for software profile soon. You can certainly expect calls from good companies on the basis of these scores. However, as for the number of days before you start getting calls, is not fixed, as it totally depends on the company. So would recommend you to keep a little patience. Someone from our support team will get in touch with you regarding this. You can certainly expect interview calls soon. Selecting candidates for interview is completely on the recruiting company’s discretion. Would suggest you be a little more patient. You can also re-appear for the exam and maybe try and score better in your subject-specific module (computer programming). I have got above 99% in All four topics (English Comprehension, Logical Reasoning, Quant, Computer Programming). But I have got only 53/100 score in Automata. Is 53 in Automata good enough? If I give the test again and scored higher in Automata and lower in some other category, then, will the highest individual score in each category be considered or the higher total aggregate in any one exam? amcat stores your latest exam scores in its database. So, your old scores will be entirely replaced by your new scores. However, it should be noted that companies mostly give more weightage to score obtained in subject-specific module. So, your aim should definitely be to improve your automata score. These are some tremendous scores. You can certainly expect interview calls soon. I hope to secure a job in the IT field. What are my chances of getting one!? I’d recommend you take the test again, but this time, prepare well for your domain specific subjects. Your scores are good. However, they could have been better in Automata to ensure a job interview; since you have achieved good score in computer programming. You can choose to wait and see if you get interview calls (it takes a little while before candidates start getting calls; but they certainly do) or can appear for the automata exam again and try and score better than before. So am I eligible for any company? & further what should I do to get a good job via Amcat? No interview calls so far Oct’ 3 2018. Had applied for Cognizant, Mindtree etc. Barring your score in Electrical, rest all are just at par. However, mostly its the score in the main module subject which recruiters give more emphasis on. So, you can expect a few calls in some time. If you don’t receive calls in few weeks, it’d be better to reappear for the exam and score even better. If you are looking for jobs in programming and IT, your current scores are not very supportive. I’d therefore suggest that you prepare better and re-appear for the exam to score higher this time and improve your chances of getting interview calls. Should I reappear to Improve my English score or I can expect calls from IT companies soon? Your scores in your subject domain are nice, so there’s no reason why you should not expect interview calls. Just that companies do take time before scheduling interviews or selecting candidates. So, may be you can hang on for a few more days. If you still don’t get calls, then you can maybe try and give a second attempt and try to improve your scores in English (communication is also taken seriously by several companies). AMCAT is available throughout the year. You simply need to book your amcat and choose the date for your exam while scheduling it. Please guide me after this. Your scores are pretty good. The next step is to wait for the interview call from the companies which deem your scores fit for their job openings. Meanwhile, you can apply for jobs yourself on our website. My score in english is so low 29. Can i retake only english exam or not? You’ll have to retake the exam entirely. Your best score out of all attempts will be considered to be shared with the companies. Other 3 subjects not crossed 60% so can I expect good companies? My scores in AMCAT are as followss English-640 (95 percentile),quant-550 (68 percentile),logical-565(84 percentile), computer programming-475(74 percentile), electrical engineering-456 (66 percentile)..can I expect an interview call from any good software/it companies. These are some really nice scores, and you should definitely be expecting interview calls from several companies shortly. Frankly, it will highly depend on the company’s requirements. While, your score in your subject-specific domain is great, the over-all percentage may not be as good. What you can do in such situation is wait for a while and see if you get interview calls. If not, would recommend you to re-appear for the exam and try and improve your overall score. A month have passed and not a single job offer yet. What should I do sir? Please guide me. It does happen at times when the interview scheduling takes a while. Your scores are good, and you should definitely expect interview calls. So, would recommend you to hang in there and be a bit more patient. Is it a good score or should i give the exam again? The scores are below par (except quant). Would suggest you to wait for sometime and see if you are getting any interview calls else you should appear for the exam again and try and score a minimum of 550 in every section. 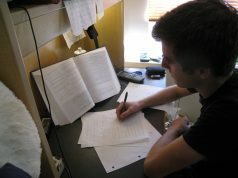 The aim, although, must be to score as high, in every module, as possible. I have given the amcat test in september 2018 in event by Aspiring Minds at my college(SGGS Inst. of Engineering and Technology,Nanded) but i dont received any result of the test.My amcat ID is 158470053754682. Would suggest you to get in touch with your college TPO regarding this. its my second test still i did not receive any interview mail and call. When did you appear for this test? It does take some time for the companies to shortlist candidates and start rolling our interview calls. So would suggest you to hang in there and give it some time. What are chances of getting interview calls? As you can see yourself, your score in Mech Eng section is quite low. However, your score in Industrial Engineering is pretty good along with QA and English. So, I like to believe that you stand decent chances of getting interview calls for jobs related to profile which matches the domain of industrial engineering. You can wait for sometime as it takes a while before the candidates start getting interview calls. Barring Computer programming, your scores aren’t much impressive. Would recommend you to try and prepare better and give the amcat exam again. I got 765 in English (99.96) in quants I got 98.54 and logical I got 98.2 .Am I eligible for any calls? Hello, I want to appear for amcat exam. I am an IT student, and looking for a good job in software industry. In case of amcat, logical reasoning, aptitude and verbal are compulsory. But in case of computer science and computer programming, I am much more interested in computer programming. Can you please tell me that do I need to give exam for both computer programming and computer science? Or is it ok to give exam only for computer programming? I would really appreciate if you give me a really quick response. Thank you. What about your scores in subject modules? Should I expect any calls? What are the chances of getting interview calls? Your scores look decent. So, you can expect interview calls soon. However, I would still suggest that you take another shot at it and try and score better this time to ensure a job interview call. What about your score in the subject-specific modules!? I have a backlog. I’m in final semester. Should i write the exam? You can write the exam for sure. Final semester is the appropriate time to give the amcat test. However, any company would want the candidate to have a the complete degree before they hand over the joining letter. So, you need to get your backlogs cleared before that anyhow. Can I apply for it jobs and can expect for a call?! Can y’all please help with these details ? Your scores are decent. However, I strongly feel you can do better. Especially, in your core subject domains (CS). The good thing is that you took amcat in your final semester, so it gives you time to prepare better and give the test again once you are closing into your graduation time. You know the pattern of amcat test now, so should be able to prepare better for the second time. Your scores look decent, and you can definitely expect calls for IT job interviews. Can I get call from company? Your scores are pretty good, except in Computer Science. You can expect interview calls from companies soon. Your scores are pretty decent, and you should certainly expect interview calls soon. It may take a while before you get your first call, but once you do, the following calls will be in short intervals. Your scores are decent. You can expect calls from companies. However, if you think you can score better, I’d suggest you give the exam again and improve upon your current scores. Thanks for your reply.one think I should mention that it’s been 18 days since my amcat exam and I haven’t received any response or call.Thats why I am asking. Is there any time limit for getting a call? Can I expect a call from the company or should I retake? Your scores look pretty good and I believe you can expect good interview calls soon. You just have to hang in there and be patient about it. That depends on what profile you are targeting. I see that you have selected computer programming and electronics as your two optional modules, both of which caters to different job profiles. Also, Mindtree and CTS keep conducting their own amcat tests. So if you don’t get a call from them on the basis of your current score. You can apply for their individual amcat exams. For more info on this, keep checking our websites for updates. Your scores are not that impressive and would suggest you to take the exam again with better preparation. I would like to how’s my score and when will I get an interview call from a good MNC? That’s an impressive scorecard, and you should certainly expect interview calls soon. Your scores don’t look supportive and may be it would be better if you retake the amcat. You need to prepare better and ensure you score got good, especially, in your optional modules. Can i get call from the Companies?? Can I get call from Core Company? Your scores look pretty good. And, considering your optional modules selected, you are aiming for programming jobs. So, yes, sure. You can expect calls from companies regarding this profile. However, you should note that it may take sometime before you receive your first call. So hang in there.